Veteran climber, performance coach, and renowned author Eric J. Hörst gives you all the information you need to get started and have fun. From what to expect on your first visit to a climbing gym to in-depth instruction on climbing techniques, tactics, strategy, and taking your indoor skills outdoors, this guide will take you through your first few days—and years—as a climber. This revised and fully updated edition includes a new section on youth climbing as well as more information on taking your indoor-climbing skills outside onto real rock. 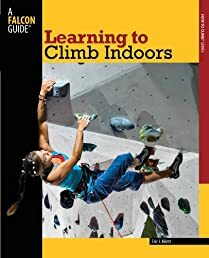 Full color photos round out the package to make Learning to Climb Indoors an indispensable resource for new climbers.